Luxurious Home Located in Kingman, Arizona Located in exclusive Rancho Sante Fe Community. This executive home has 2290 square feet of living space and 3 car garage with 3 Bedrooms and 2.5 baths. 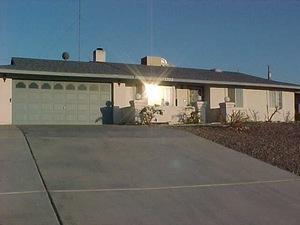 Kingman Arizona and available online at FindVacationRentals.com. Photos, availability and instant direct access to Kingman Arizona owners or managers. Book your next home away from home direct and save! Interested in More Kingman, Arizona? Check out nearby Flagstaff , Lake Havasu, Lake Havasu City , Las Vegas , Prescott , Prescott Valley.